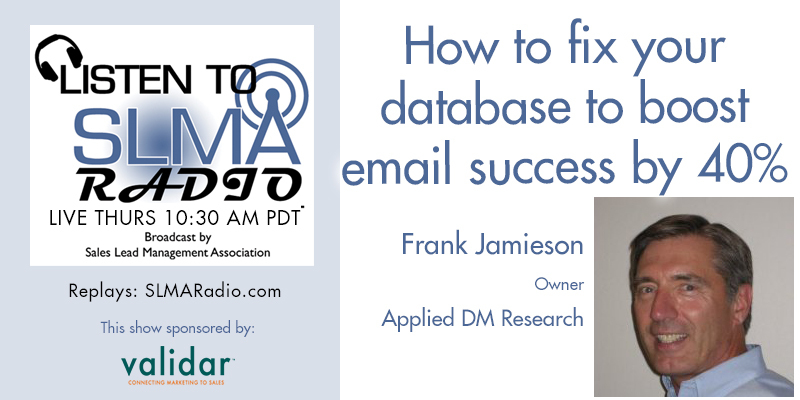 SLMA RADIO Hostess Susan Finch will interview Frank Jamieson of Applied DM Research. In this age of increasing database centric marketing, buying an email database is more risky than ever before. In this program Susan will dig into the common mistakes marketers make in buying a database. What is over-looked as the most obvious do’s and don’ts. What is full market coverage? How important are bounce rates and list erosion? How to avoid paying twice for duplicate records. Lots More. About Frank Jamieson Frank Jamieson is the Founder and President of Applied DM Research which has been in business for 19 years – prior to that he was the General Manager of Gazette Marketing Systems - the largest solo direct mail company on the West Coast which processed one million address records each day. 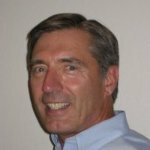 Frank is a Board Member of Direct Marketing Association of Northern California and he’s also active in Market Research Association. Jamieson earned his undergraduate degree at University of New York at Geneseo and he earned his Executive MBA at Saint Mary’s College in Moraga CA. He has lived in Novato CA in Marin County for 35 years. He is married with 3 children. About Applied DM Research Applied DM Research offers a fully integrated suite of marketing database solutions for b2c and b2b programs that includes customer profiling, sales funnel analytics, prospect database development, market segmentation and database cleansing. We also offer project management services for direct marketing and digital marketing campaigns. Customer Profiling, Prospect Database Research, Sales Funnel Analytics, Market Segmentation, Database Cleaning, Media Targeting Profiles, Email Appending, Telephone Appending, Computer Mapping, Direct Marketing, Lead Generation, Database Marketing, Digital Marketing, Demand Generation.